Our program strives to provide helpful programs and resources to guide small business owners. The BizAid Business Orientation is a no-cost opportunity to meet with business professionals who can provide you with basic information and guidance. Register for a BizAid Business Orientation offered in class or online. Individualized BizAid Coaching is available at no cost to existing small business owners to help develop a marketing strategy, find lending assistance, learn to effectively network, or become more competitive with a business plan. 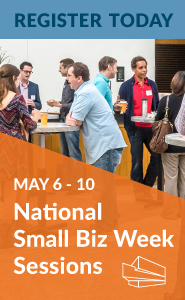 Visit our calendar for a complete list of upcoming classes and events developed to help small business owners develop skills. The City of Austin Small Business Program has partnered with University of Texas at Austin Center for Professional Education. Classes are offered in the areas of marketing, social media, human resources, money management, and small business taxes. Complete six of these qualifying small business classes and earn your Business Skills Certificate. Get Back in Business is a resource site to aid and assist businesses in creating a plan for disaster recovery as well as finding help after economic and natural disasters. This site is by no means comprehensive; however, the information contained may meet the immediate needs of your business during your time of preparation and recovery. 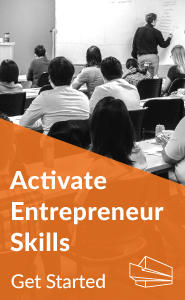 The Small Business Accelerator is a 12-week training program designed to accelerate business growth and maximize profit.